Launched in 2015, the goal of The African Seed Access Index is to encourage African governments to create and maintain enabling environments that will accelerate the development of competitive seed systems serving smallholder farmers. 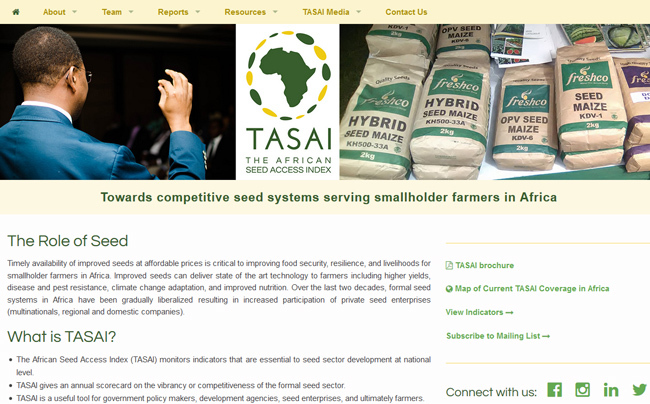 It is this enabling environment that TASAI seeks to measure, track, and compare across Africa countries. The intended outcome of this index is improved access to locally adapted, affordable, and high-quality seed of improved varieties by smallholder farmers in Sub-Saharan Africa.